Japan’s benchmark Nikkei 225 dropped nearly 0.8% in morning trading to 21,635.16. Australia’s S&P/ASX 200 slipped nearly 0.1% to 6,217.30. 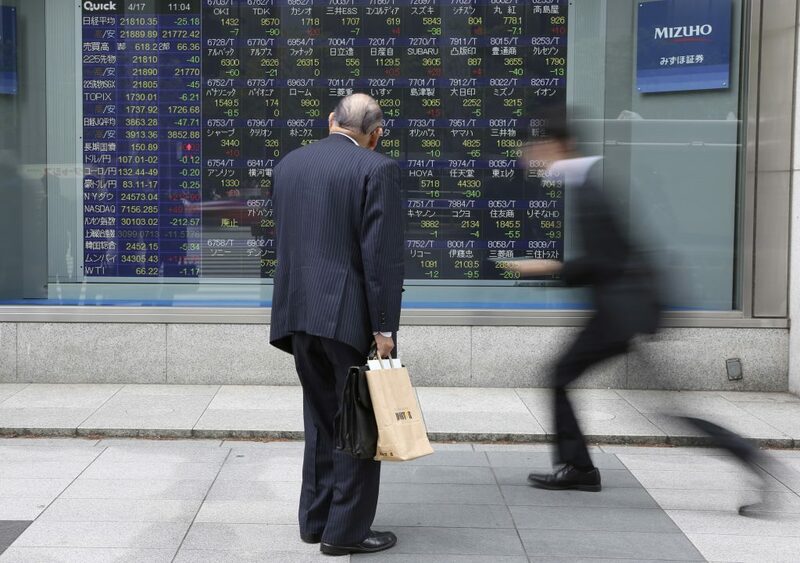 South Korea’s Kospi lost 0.2% at 2,209.21. Hong Kong’s Hang Seng shed 0.8% to 29,925.15, while the Shanghai Composite was down nearly 0.9% at 3,211.36. On Wall Street, the S&P 500 index fell 17.57 points, or 0.6%, to 2,878.20. The Dow Jones Industrial Average dropped 190.44 points, or 0.7%, to 26,150.58. The Nasdaq composite slid 44.61 points, or 0.6%, to 7,909.28. The Russell 2000 index of small-cap stocks gave up 19.32 points, or 1.2%, to 1,559.68.